Impairment in placental development and function is known to be associated with the pathophysiology of preeclampsia. 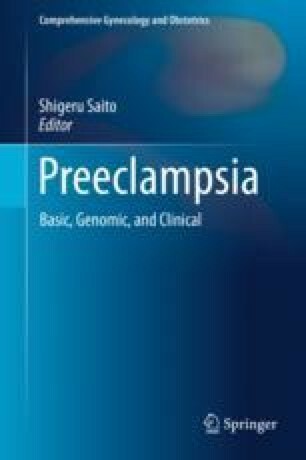 However, placenta-specific molecular basis leading to preeclampsia remains to be fully understood. Adenosine, an endogenous nucleotide, is a signaling molecule that is induced under various pathological conditions including hypoxia, energy depletion, and inflammation and contributes to various diseases. Recent report form Iriyama et al. revealed that a local increase of adenosine in the placenta is sufficient to trigger key features of preeclampsia by using mouse models, and adenosine was identified as one of pathogenic factors for preeclampsia. This chapter is to summarize current progress and the significance of adenosine signaling in different disease states and to detail the findings of enhanced placental adenosine signaling in the pathophysiology of preeclampsia.